I’m proud and excited to announce that my badger vaccination story the alternative is a winner of the 2013 British Wildlife Photography Awards. The six-image portfolio picked up the top award in the Documentary category – my second win in as many years of entering the category (my last win was in 2011 as I served as a judge of the competition in 2012). 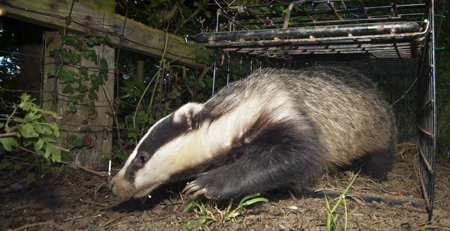 The set of photographs documents the process of trapping and vaccinating badgers against bovine TB. Many of the UK’s most influential scientists, NGOs and landowners – such as The Wildlife Trusts and The National Trust – believe vaccination is a viable alternative to culling. Yet, the government has chosen to press ahead with a cull in England, claiming that culling badgers is the best method for controlling bovine TB in Britain’s cattle. Find out more on the Badger Trust website. Unfortunately, I was unable to attend the awards in London as I am currently working in Africa but I would like to extend my sincere congratulations to all winners in the 2013 British Wildlife Photography Awards. Please support the awards by attending the exhibition as it travels around the UK and by buying the book on the BWPA website. The December 2012 issue of BBC Wildlife magazine goes on sale this week. As well as exceptional features on Ethiopian wolves and giant otters, and a portfolio on winter in Siberia, the issue includes the 2013 edition of the sought-after BBC Wildlife Calendar. I’m really proud to say that two of my photographs feature in the calendar – a malachite kingfisher snapped in the swamps of Botswana’s Okavango Delta earlier this year and a portrait of a white rhino, taken in the home of rhino conservation – South Africa’s Hluhluwe Imfolozi Park. As you would expect from BBC Wildlife, the calendar – which marks the magazine’s 50th anniversary – is full of wonderful wildlife photographs taken from the equatorial waters of the Galapagos Marine Reserve to the frozen wilderness of the arctic circle. Pick up a copy and be inspired. A selection of some of my latest work is currently online on the BBC Wildlife magazine website discoverwildlife.com. This online gallery showcases 14 of my photographs from my recent visit to British Columbia. The portfolio is a cross-section of the mammals, birds and habitats that I encountered. A more comprehensive selection of shots can be seen in the North American Wildlife gallery on my website. This is the latest gallery of my work to feature on the BBC Wildlife magazine website and follows a badger vaccination portfolio, which accompanied my Autumn 2011 feature in the magazine, and a selection of African wild dog images from my book Underdogs.